I swear, the next time Christopher is having sensory processing issues, I'm sending him to Wisconsin. He has made more progress with his swimming and fears than in years. Upon his return, he wanted to do "Evening Swims" every night. Tuesday he was attempting to float on his own, and Friday night he started practicing underwater swimming. He's not holding his nose, just kicking and holding his breath, but as the week progressed, he got better and better. I took a couple pics from that. But then on Saturday, after swim class, (that I couldn't muster the energy to attend) he came home and went all gangbusters again. His new trick was playing "CANNONBALL!" Where he yells canonball and jumps into the pool. 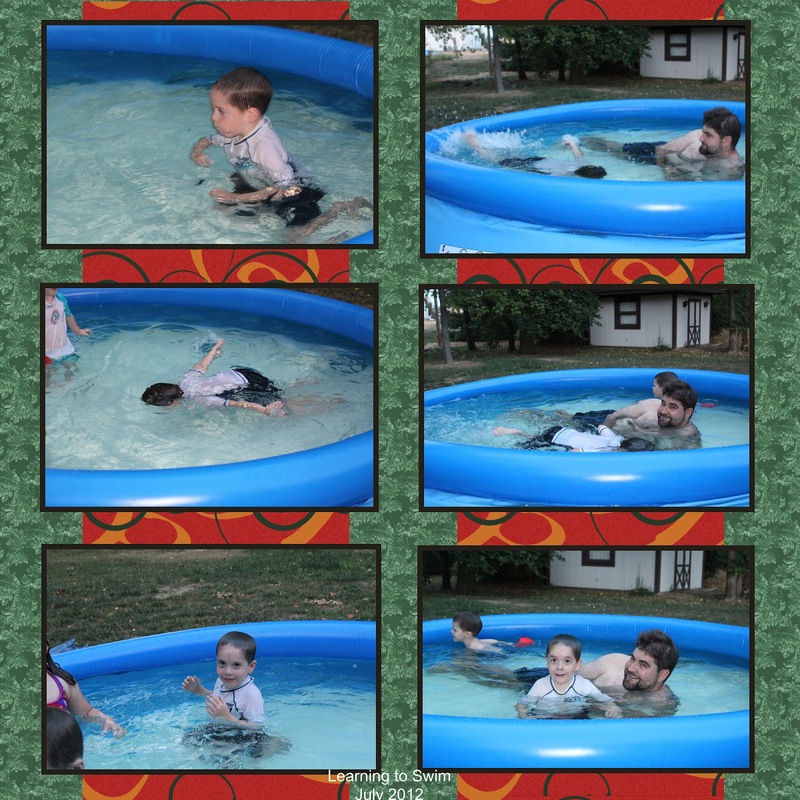 This was Huge fun at the pool that has an edge to jump in, and it's 3 feet deep. But at home, where we are only 2 feet deep, and have a soft sided pool. No where to Jump from. That's OK, Chris improvised. 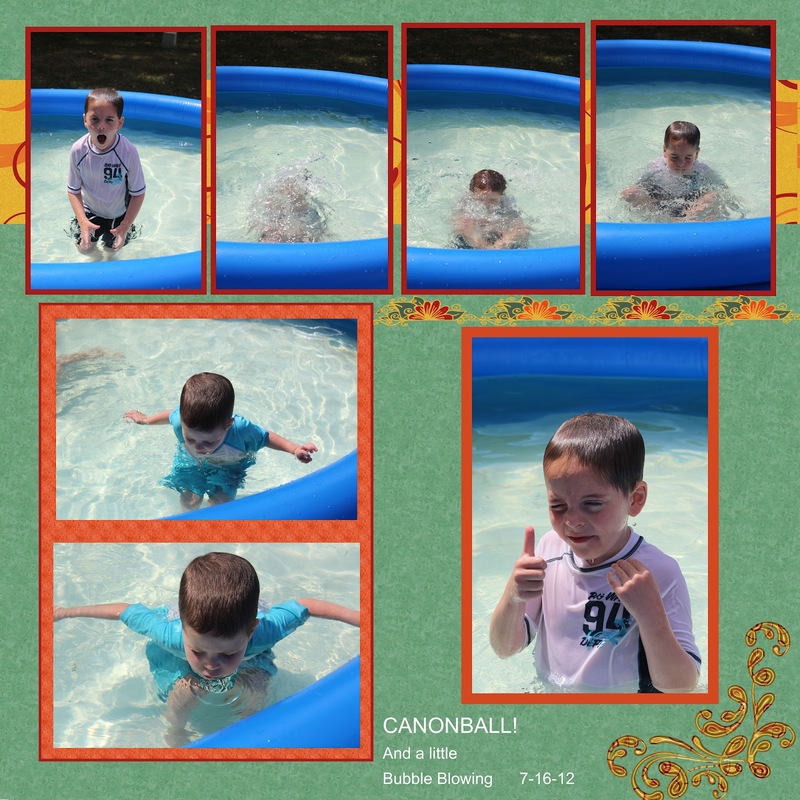 So for Monday, I give you, Christopher does Cannonball, and not to be outdone, Sam blows bubbles.